Where do mobile subscribers like to go? What services do they plan to use? And what data and pricing plans do they want? The ability to gain insight into subscribers’ preferences and strengthen relationships with them when they roam has become a must for today’s operators – for two key reasons. 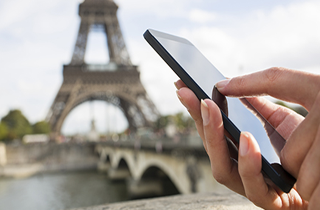 First, a steadily growing number of travelers are opening up a vast new roaming market. Second, roamers represent one of the most profitable mobile customer segments, and opportunities to reach this group with compelling brand engagement are rare. But operators face several challenges in better serving this group. The most crucial of these is the capability to gain an instantaneous view of each roamer’s connectivity needs and to cater to those needs in a relevant and timely way. Now, however, new technology advancements are enabling operators to overcome this challenge, and over the past few years Syniverse has been right in the middle of helping operators redefine the way they integrate these technologies to respond to roamers’ needs. As part of this, we’ve just compiled our top best practices in a new e-book, “Is Your Network Truly Global?” It breaks down everything from using data to segment and profile subscriber groups, to developing targeted offers to serve roaming usage and pricing needs, to providing real-time usage alerts and controls that can prevent bill shock. I invite you to find out more by downloading the e-book at the link below.